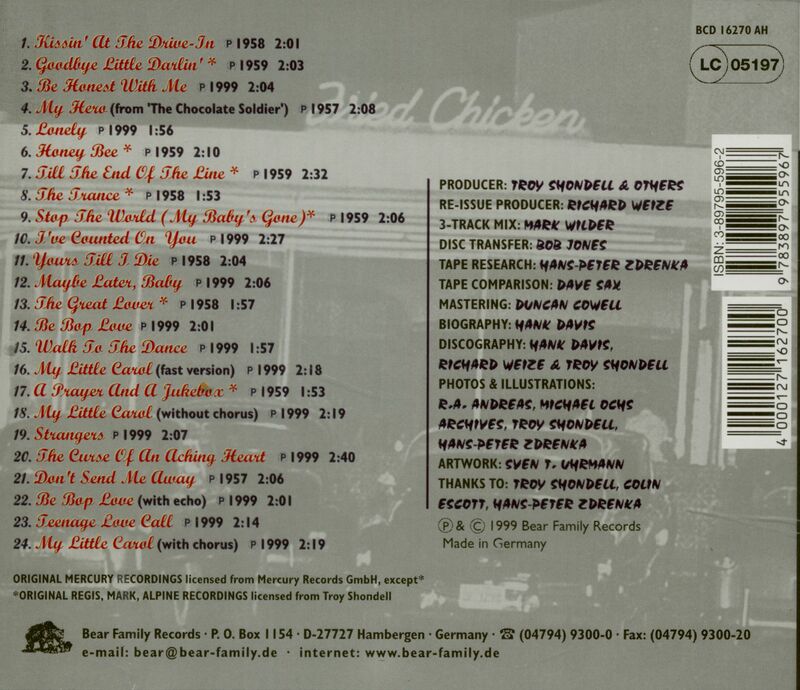 1-CD with 24-page booklet, 24 tracks. Playing time approx. 52 mns. 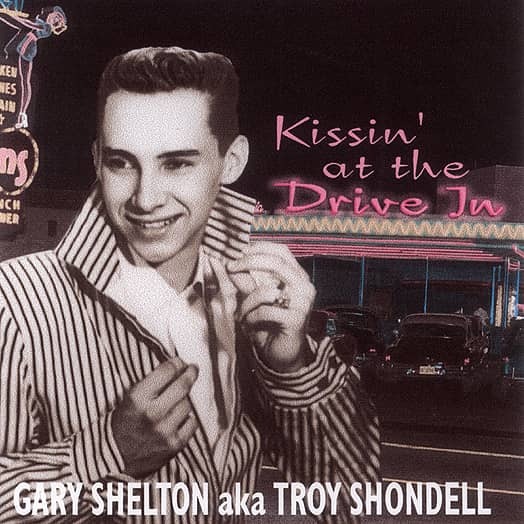 Before he changed his name to Troy Shondell in 1961 and charted his major hit This Time, Gary Shelton was an aspiring teen rocker signed to two major labels. His early career veered between classic '50s teen idol pop music, force-fed to him by his producers, and the raw rock 'n' roll that was Shelton's true love. 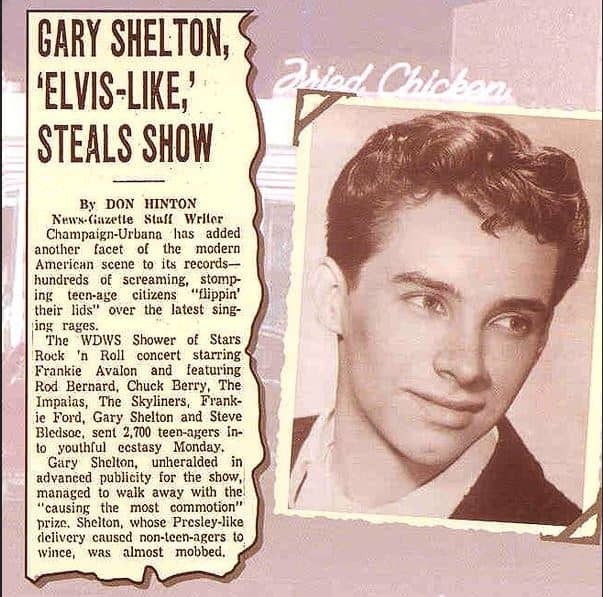 For the first time, Bear Family Records collects all of Gary Shelton's 1950s material (including 13 previously unreleased tracks) recorded prior to his name change and subsequent hit record. This unusual package includes vintage photographs, as well as detailed music notes and an extensive interview with the artist by Hank Davis. T here was something different about that spring night in 1957 when seventeen year old Gary Shelton took the stage in his native Ft. Wayne, Indiana to appear in a high school talent show. On past occasions, Shelton had performed piano boogie-woogie to polite applause. Tonight, for the first time, he started to sing. "I had been backstage rehearsing before the show and there were some cheerleaders back there. Everyone else had left and I was just kind of messing around on the piano. I started doing an Elvis song and they said, 'That's good! You've got to do that at the show!' I said, 'Really?' and they all said, 'Oh yeah! You've got to.' Taking his life in his hands, Gary decided to take their advice and began to sing the music of his idol, Elvis Presley. "I just couldn't believe the response. The place went wild. The screaming! There had already been ten acts on before me when I started to sing Elvis's 'Love Me.' They started to scream during the first line, and it just continued straight through the whole song. After that I sang 'Shake Rattle And Roll,' and then 'Don't Be Cruel.' The girls kept going nuts. I'd never heard anything like it before." Neither had manager/booking agent Herb Gronauer, who was in the audience scouting for talent. Gronauer was the road manager for the Ted Weems band, but knew the times were changing fast. 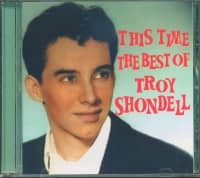 He was more likely to hit paydirt backing an aspiring teen idol than a bus load full of middle-aged big band musicians. Gronauer came backstage and told the still shaking Shelton that what had happened that night was no fluke. There was money to be made and fame to be won. With Gronauer's connections and Shelton's good looks and talent, there was nothing to stop them. Several days later, Gronauer visited the Shelton home and repeated the same enthusiastic message to Gary's parents. "I learned to play the trumpet from my dad when I was four years old. When I was in kindergarten, I played in the grade school band, which was very unusual. I won a lot of gold medals for my playing all the way through high school. I just assumed trumpet was going to be my instrument and then my father brought that piano home for me. I asked him why and I'll never forget what he told me. He said, 'One of these days there might be another depression. When there's a depression, it isn't easy for a trumpet player to find work. But a piano player can usually find a job. So this way, you'll always be able to make a living.' It was really pretty good advice. When rock 'n' roll came in, there was a lot less work for trumpet players, but pianists could still earn a living." Despite the dreams of glory being sold by Gronauer, young Gary Shelton had some misgivings. "I really wasn't ready to record. I was still in high school. But here's this guy in my parent's house saying 'Why don't you put up the money and I'll take your son to Chicago and we'll do a session. I think I can get him a record deal. It was all happening very quickly." Within days, Gary found himself en route to the Windy City, where Herb Gronauer had used his contacts (and the Shelton family savings) to book the Boulevard Recording Studio and hire some musicians. Four songs were cut featuring Gary on piano and vocal. Two were Shelton originals. Another, My Hero, was taken from the operetta 'The Chocolate Soldier'. This song, far from the Presley style that had led Shelton to perform in the first place, foreshadowed a problem that would hound him for the next two years. Customer evaluation for "Aka Gary Shelton - Kissin' At The Drive In"